Hey everybody! I’m gonna give you the quick run-down on this Duck Hunting Cake and hit the sack! It seems that more often than not, I find myself sharing cakes late, late at night. This is not a trend I want to continue but for now, it just is. So, my day did not turn out as planned – one of my kiddos was gone half the day and I had to take another to the doctor. I was glad that Caleb got to help and spend time with his PawPaw and even more glad that Christian’s ear infection can be treated pretty easily without a trip to the ENT but still… not how I wanted the day to go. 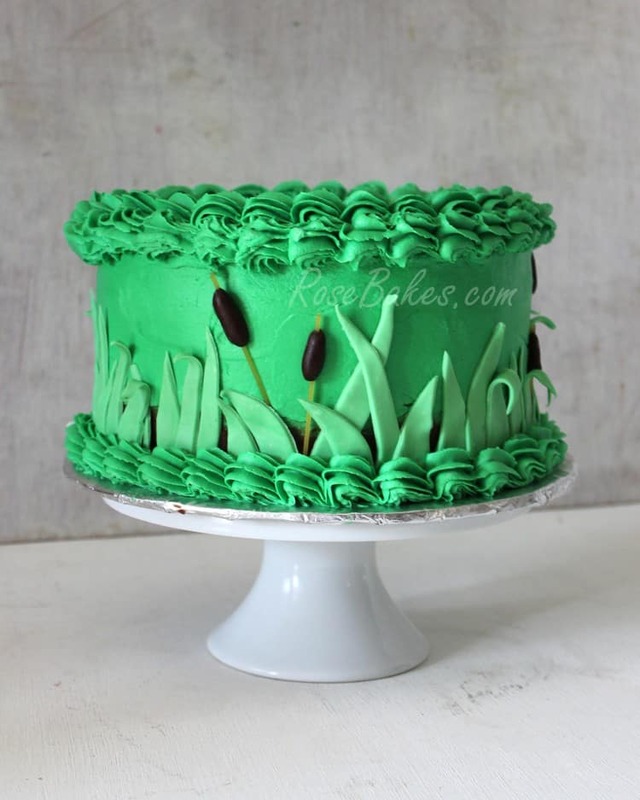 I did the same fondant grass and reeds around the sides. And I used a big Ateco #825 to pipe the borders. I really wanted the borders to be billowy and full… think “grass blowing in the wind”. No? I’m being too poetic? Haha! Oh well, I tried. Anyway – that’s all I’ve got for you on this cake. While it was really a simple design, I loved the overall effect and the way it turned out! Even better – so did my client! Do you have any questions? Leave me a comment if you do and I’ll try to answer and help out! I really like this cake and I mean I REALLY like it. Far too often today cake decorators are going absolutely positively NUTS with the decoration. Often cakes are SO busy and overly decorated you don’t know how to eat them nor do people want to because they don’t want to cut into the things. Now this is JUST right. So often less can be more. 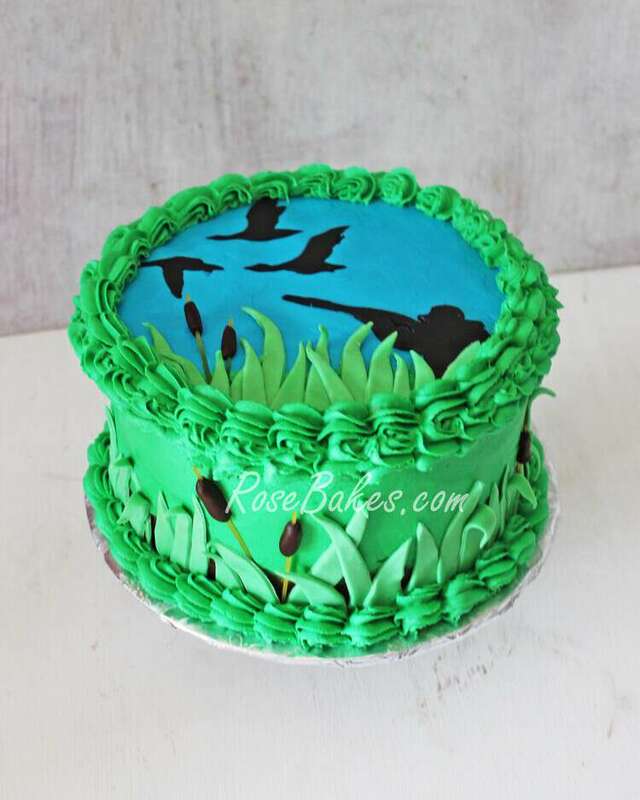 I love this cake so much I’m downright disappointed I don’t know anyone into duck hunting. I unfortunately seem to have all deer hunters in my world. 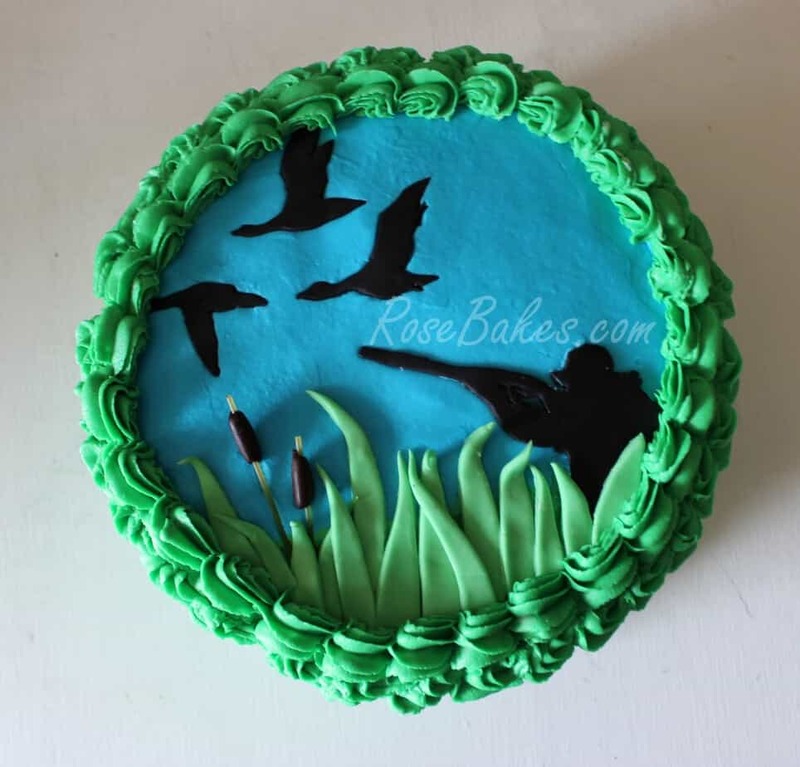 Maybe one day a duck hunter will come along I can do something like this for a cake for them or even cupcakes. Hi! I love the look of this cake. How did you make the silhouettes on top? I have a groom’s cake next month and they want something very similar on the side of the cake. Hello Rose I love your work I”ve been looking for this image but am having a hard time finding a free one. Where did you find the image?